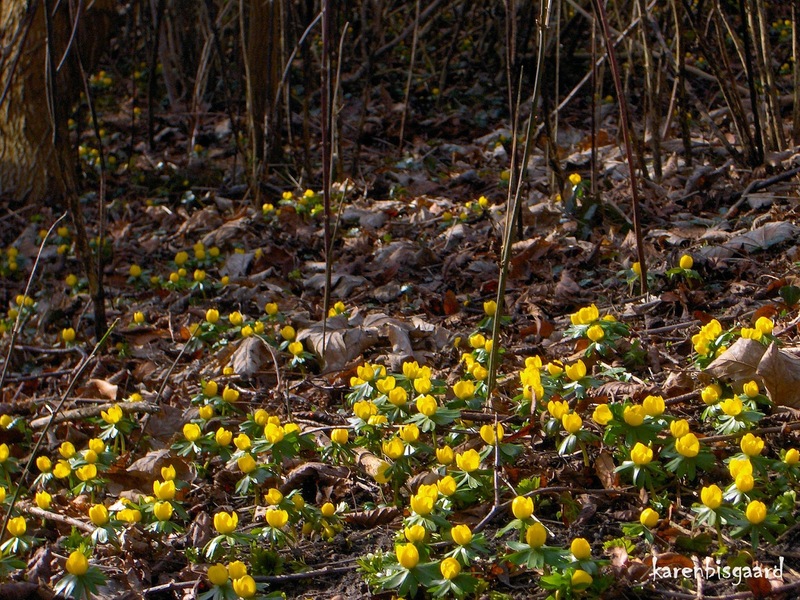 Karen`s Nature Photography: Blooming Winter Aconite Covering Forest Floor. Blooming Winter Aconite Covering Forest Floor. Full Blooming Eranthis in Sunshine. White Snowdrops among Brown Leaves. Winter Aconite Blooming on Forest Floor. Frostbitten Mushrooms on Tree Stump. Crop of Rapeseed and View Towards Village. Parasol Mushroom Hiding in Grass. Close up on Ripe Ear of Maize. Sunlit Maize Stubble in Snow. Parasol Mushrooms and Autumn Leaves. Maize Plants Left Behind in Harvested Stub Field. Evergreen Leaves Covered by White Frost. Close Up on Burdock Seed Capsules. Group of Shelf Mushrooms on Tree Stump. Withered Maize Leaves and Stems. Brown Frosty Leaves on the Ground. Miniature Mushrooms on Tree Trunk. Snowy Landscape with Silent Stream. View Towards Withered Unharvested Maize Plants. Lichen Covered Branch in Snow. Close-up on Decaying Tree Stump. Ear of Grass Against Brown Leaves. Silent Dark Stream in Snowscape. Shelf Mushrooms and Lichen on TreeTtrunk. Small Cluster of Mushrooms on Tree Trunk. Rotting Tree Trunk with Mushrooms. Web-like Leaf Caught Between Branches. Ripe Ears of Maize with Brown Silk.